A simple GIF to give a look at the complexity of a 1000-ring circus going on in cells all the time. Each ‘ring’ is a different pathway necessary for this generic microbe to survive. Wish I had 40 years to make an accurate depiction of an actual bacterial circus with its 2000 ‘rings’. Enjoy! Time again for My Tiny Highlight (MyTH) of a particular bacterium. This week is the infamous Pseudomonas aeruginosa. This trooper can be found almost anywhere on earth due to its ability to use all kinds of material as food including diesel and jet fuel. Most of us know it as a common infection you get while in the hospital because it is so darn hard to kill. 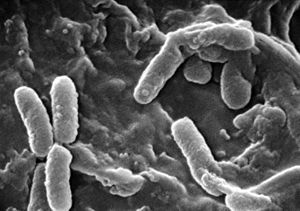 If you know someone that suffers from cystic fibrosis, this bacterium can be fatal as it is commonly found in the lungs of these patients causing pneumonia. I personally learned about this bacterium in school when talking about hot tubs due to its resistance to disinfectants. P. aeruginosa is one of the most famous microbes for forming biofilms. A biofilm is a group of cells that attach to each other and to some surface usually by secretion of sticky sugars from the cells. 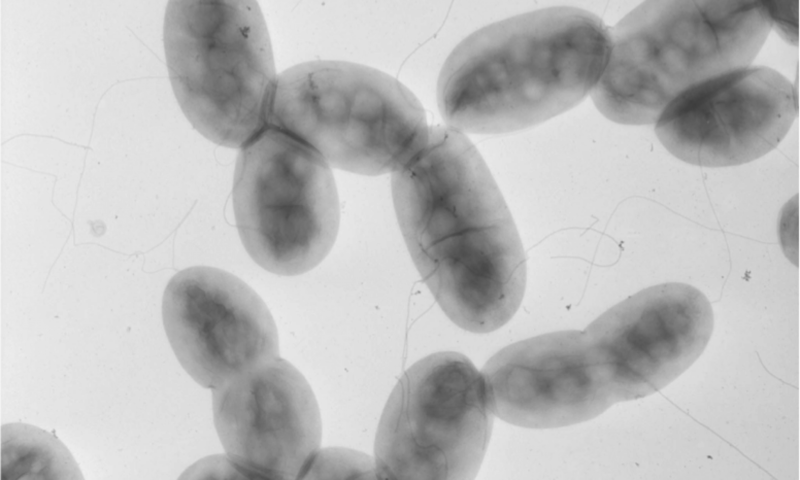 A common sticky sugar, or exopolysaccharide (EPS), excreted by P. aeruginosa is alginate, an uncommon sugar for bacteria since it is most commonly found associated with brown algae. Its existence in Pseudomonas has led to significant knowledge about the synthesis of alginate (alginate biosynthesis; another ring in the bacterial circus). This knowledge is leading to novel medical applications for alginate. P. aeruginosa is also known for its role in a multicellular behavior which seems strange for a single-celled organism but is becoming more and more common. Quorum sensing was first described over 40 years ago. I beg you to check out Bonnie Bassler‘s TED talk about this. QS is how single cell bacteria are able to send signals into the environment to communicate with members of their own species and with other types of bacteria as a way to assess their population. Another feature of P. aeruginosa is their modes of transportation, i.e. motility. P. aeruginosa has two major modes of getting around their environment, swimming motility with flagella or “twitching motility” on a surface using Type IV pili. We have discussed flagellar motility before (Chemotaxis). Type IV pili (TFP) is different. Pili are somewhat similar to flagella because they protrude out of the cell and are used to move around. Unlike flagella, pili don’t rotate but rather extend out before retracting back to the cell pulling the cell in the direction of the pili tip. The coordination of pili extension and retraction is guided by a chemotaxis-like pathway. Many bacteria have evolved to use chemotaxis proteins that have adapted to new roles within the cell. I will end this MyTH with a special shout out to one of my favorite researchers, Carrie Harwood. Caroline Harwood is a professor at the University of Washington in Seattle. Carrie’s daughter suffers from cystic fibrosis and this led to Carrie’s curiosity in P. aeruginosa. She is a pioneer and a role model for many female scientists including Becky Parales. For her tireless career, Carrie was inducted into the National Academy of Science a few years back. A recognition well deserved. 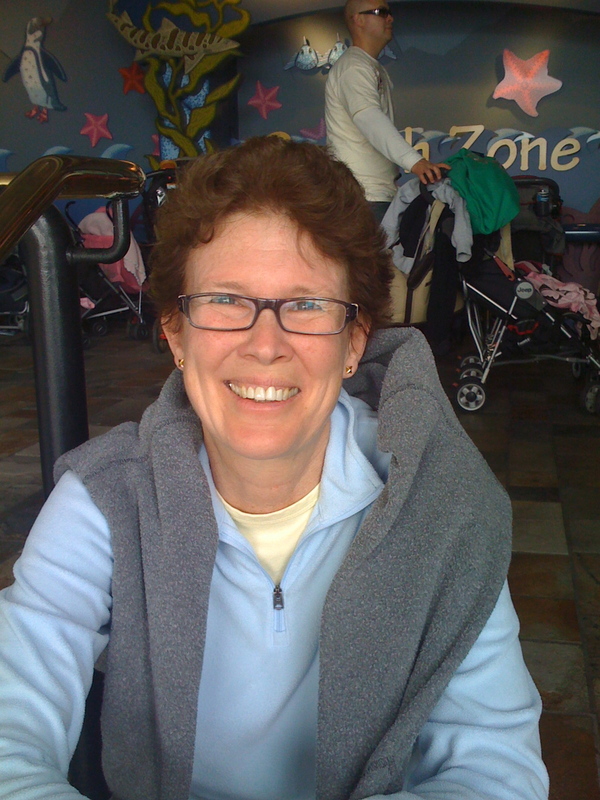 Pseudomonas aeruginosa scientist Carrie Harwood. One of the nicest people in Science! Disclaimer: Not actual bacterial cells under microscope.